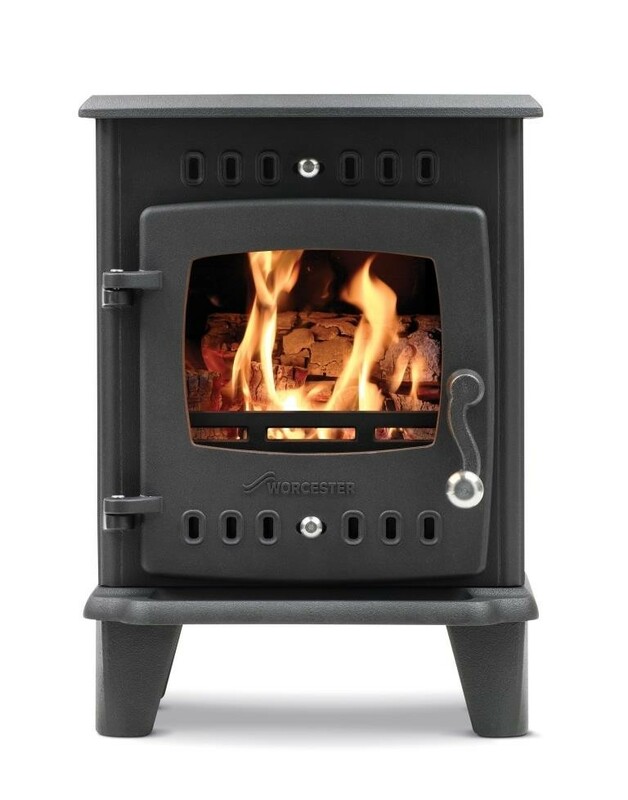 The Worcester Bosch Hanbury 5kW Greenstyle Stove with curved Cabriole legs, cornice top and matt-black, and a cast-iron finish it has a timeless elegance that can make a statement in both period and modern homes. The beauty of cast iron is that, although it may take longer to heat up, it naturally retains the heat and gives off warmth long after the logs have burned down. The Hanbury also features a convenient hearth ash catcher, which increases protection from hot embers and makes the stove quicker and easier to clean. Incorporating clean-burn technology for a higher heat output and minimal emissions, the Worcester Bosch stoves are between 74% and 86% efficient – amongst the highest level possible for a wood-burning stove. Given their low emissions our stoves are also DEFRA exempt, so you can install one wherever you live in the country. The robust, high-temperature resistant steel provides a rapid heat up time whilst an optional integral wood store provides a neat way to store wood as well as acting as a base. When installed with the store included, the additional height turns it into the perfect freestanding stove.